That is actually the meaning of Tantra for me in one word. When you are in balance your actions are, per definition, balanced as well. 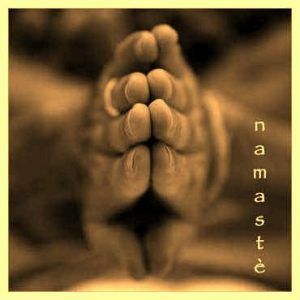 Namaste…. My name is Johan Raaimakers, Shambhala-master and Tantra masseur of the Tibetan Buddhist movement. By using various massage techniques I aspire to bring both mind and body into balance. I have completed multiple intensive massage courses since 2010. My main training was in Tantra masseur with Tantra Lotus in Breda. This is a Tibetan Buddhist training following the Kum Nye tradition in which the main focus is on practice, theory, yoga, and meditation. I have learned a lot about the profound effect massage can have on the physical, emotional, and spiritual well-being. I am also familiar with Sveda, Vedic, and Kashmir massage as well as the integration of yoga techniques within a session as a duo treatment. I have gained extensive experience in giving massages, and even though all peoples desires and bodies are different, it is always my intention to bring them the same thing: balance. I still train and immerse myself in Oriental and Tibetan traditions and visions. I am an assistant with the Rasayana Tantra Academy in Rotterdam and follow a diverse amount of trainings from national and international teachers in various tantra disciplines. Besides that I regularly visit a practice in Munich to assist a colleague in Tantric massages. I can also be found at various festivals as a guest masseur providing tantra massage/body work. Most recently I worked as a body worker for the One Dance Tribe in Kislegg, Germany. 3 years of intensive training in the Kum Nye Tradition with Tantra Lotus in Breda. 3 times at an eleven day Tantra retreat with Tantra Lotus in Breda. An eleven day Vipassana retreat with Tantra Lotus in Breda. Various workshop weekends via The Connection/Rasayana Tantra Academy.